Dave Sloan, CEO of Treehouse Logic, defines customer co-creation as the “practice of allowing customers to build their own products”. Through the sharing of their ideas and suggestions, customers become collaborative members of the product development process. Co-creation is a relatively new concept and remains an area of study that raises many questions on managing customer relations. Organizations have begun to embrace this concept in order to develop better products and services that meet customer expectations and to excel in the marketplace. Various social channels have provided consumers with a vehicle to communicate with other consumers and with companies anywhere in the world. As a result, empowered consumers can take a greater part in the creation and development of new products and services. In the article ‘Consumer Co-creation in New Product Development’, the authors explain that “Consumers are able and willing to provide ideas for new goods or services that may fulfill needs that have not yet been met by the market or might improve on existing offerings” (Ernst, Hoyer, Krafft, and Soll, 2010). Viewed within the context of new product development “co-creation can be understood as a “collaborative new product development (NPD) activity” in which customers participate and actively contribute to the new and exisiting product offerings. (O’Hern and Rindfleisch 2009, p.4). Simply put, by involving consumers more actively in the new product development process, new insights (ideas, suggestions, and questions) can be generated and further developed, while the customer is made to feel valued. This active involvement increases customer satisfaction levels and new product success. 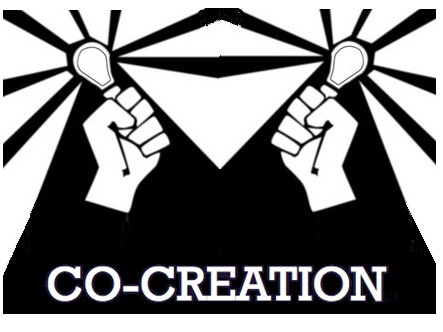 Consumer co-creation is an attractive approach for a variety of reasons. In particular, insight that is generated through this approach will provide more accurate information regarding consumer needs and market demand. Not surprisingly, organizations who manage this process effectively gain a significant edge over their competitors. Nivea, a leading body care specialist, recently adopted a co-creation strategy to gain more insight from their lead users about their new line of beauty products. OneDesk’s core applications, Customer Feedback Management, Requirements Management and Project Task Management, are tied together with a social collaboration layer that keeps all stakeholders connected to the new product development process. Involve your customers and stakeholders in the NPD process by capturing their feedback. With ’s blended suite of social business applications you can easily capture, elaborate and integrate customer feedback into the new product development process. Generate and manage product requirements based on feedback: OneDesk’s sophisticated Requirements Management capabilities allow you to easily create product requirements based on collected feedback. Create tasks based on new product requirements: With ’s project portfolio management (PPM) tools you can easily create tasks based on feedback and product requirements, manage and prioritize them. Find out more about how OneDesk can help facilitate the co-creation and new product development process.